It’s always a fun challenge to try and think how to start each issue differently. It feels like there are never enough pages to tell the FULL story I want to tell so I have to make sure the issue starts fast if I want to fit everything in. The great thing about Team Stryker is that I can jump right into the middle of a story and you are all smart enough to catch up. I don’t believe in hand holding when it comes to story telling. If I show you a person standing on a big pile of money I can bet that everyone is going to know what’s happening. Plus when you’re telling the story of a magician robbing banks there isn’t going to be a lot of complex metaphors at play. 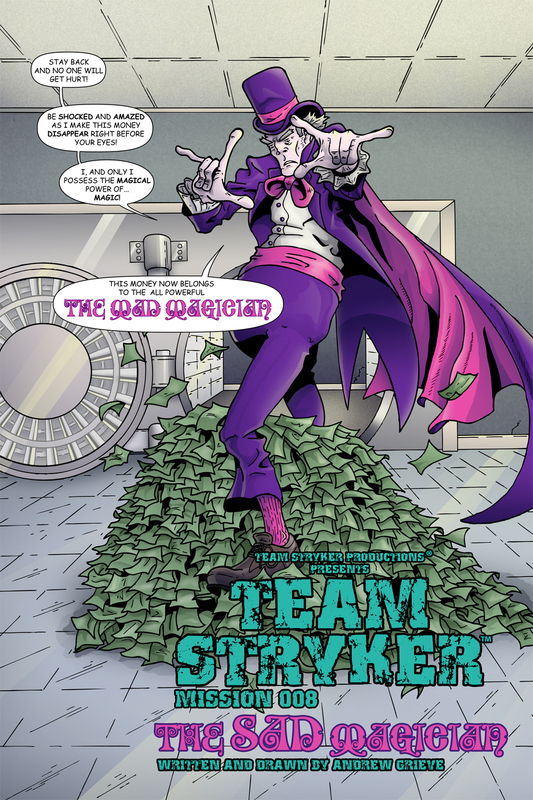 Have a great Team Stryker Monday and I’ll see you all back here next week!